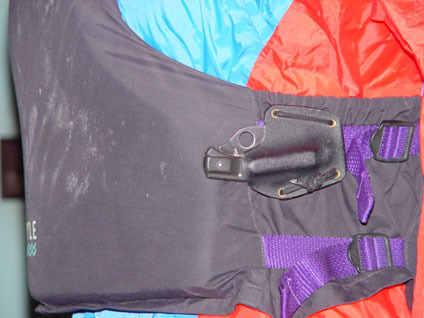 River City Sheaths started out making quick release sheaths, that held rescue knives securely on Personal Flotation Devices (PFDs), used by Rescue Professionals, River Guides, or any private boater wanting the best in safety equipment. In our experience (over 20 years), we've come to believe that you can carry a more effective knife in a smaller package by using a folding knife in one of our sheaths. Stays completely out of the way in any movement you have to make, and you won't wind up looking like "Rambo on the River". However, we do make sheaths for fixed bladed river knives because we know a lot of you still use them. Spyderco's commitment to quality and innovation make them the ideal choice for a river knife you can bet your life on. We've hard used them for as long as they have been making knives, including construction work, home improvements, everyday chores, and of course, on the river. Best "bang for the buck" out there. 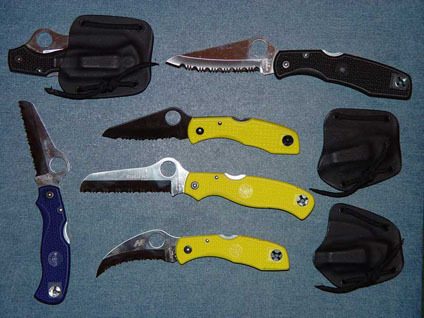 For those boaters who are on a budget, we suggest Spyderco's Byrd line of knives. A little more cost effective, but the same commitment to quality. 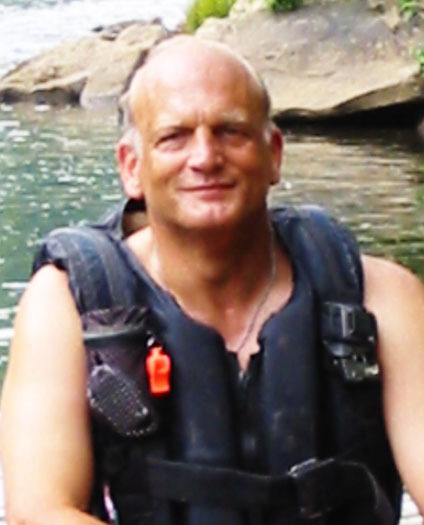 Jackson Kayaks - We can't say enough good things about the folks at Jackson Kayaks, and all the things that its Head Honcho (and Whitewater Hall of Famer) Eric Jackson has done for the sport of Kayaking. Simply put, Jackson Kayaks are the best on the market! 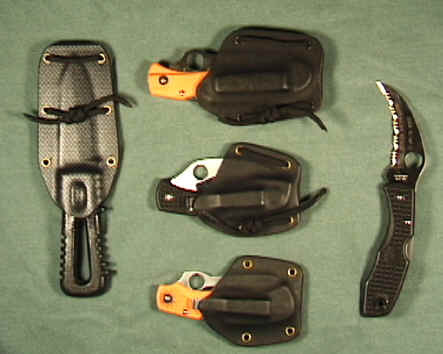 * "River knives are essential, but carrying them securely on a PFD is a real challenge. I like to carry a folding knife because it takes up less space on my PFD. Unfortunately, they never come with a good sheath. The result: they fall out during normal activities and get caught in ropes during rescues! 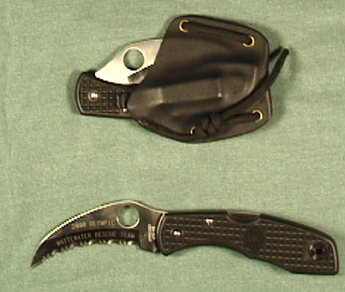 I've used Mike Sastre's reliable "clamshell sheaths" to hold my Spyderco Delica for over ten years. After thousands of rapids and many swiftwater rescue classes I'm convinced it's the best way to carry a folding knife on a PFD."